Some people think that the key to being successful and being able to reach for your dreams is hard work, technically that may be true but one of the most important part has got to be not giving up on what you have always wanted to do. Having a career may not be that easy, but it is way more difficult to not be passionate in what you have chosen to do. There are even times that you have to make hundreds of mistakes in order for you to figure out how you’ll be able to get to your goal. That is precisely what happened to Kendra Scott, who is now the owner of a billion dollar jewelry company. 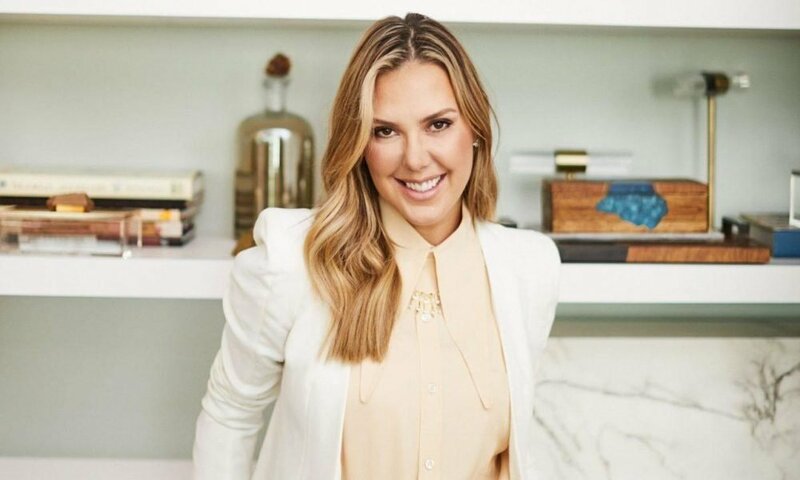 In 2002, Kendra Scott only had $500 in her bank account, and that is when she started her business in her spare bedroom. While pregnant with her second child, she found the time to make jewelry since she was put on bed rest and it turned out to be something that she absolute enjoyed. This wasn’t the very first time that she had a business, in fact, she already tried it before but failed. Her determination and passion to make all of this something that could provide former and her family pushed her to make it work. In an interview with Forbes magazine, the mother of two revealed how she went door-to-door selling her first collection of jewelry. She never thought that her designs will belong to the home décor, accessories, and the beauty products aisle in the fashion retailers all over the world. Her products can now be found in hundreds of boutiques and even in Nordstrom and Neiman Marcus. It even reached a retail store in London, England. Scott admitted that she has always been into fashion and she considers herself lucky that her family supports her even at an early age. It was when she was 19 that she opened her first business, and her family helped her through it even if it didn’t exactly turn out the way she expected. However, it turned out to be a blessing in disguise since she considered it as a stepping stone to pick herself up and try once more, this time around she actually did make it. She seized the opportunity to be part of the industry and now she is where she wants to be. Since I began this business, I have been inspired to use our success as a platform to do something even more powerful — to give back to others in a meaningful way. ⠀⠀⠀⠀⠀⠀⠀⠀⠀ Annually, we give back over $4.5 million to local impactful causes and give $10 million in in-kind donations; in the past year alone, our employees have given over 2,000 volunteer hours and fostered more than 10,000 philanthropic partnerships. ⠀⠀⠀⠀⠀⠀⠀⠀⠀ Today is a very special day to reflect on our opportunity to do good. To me, it’s the most meaningful form of success. XO – Kendra #KendraScott #GivingTuesday ⠀⠀⠀⠀⠀⠀⠀⠀⠀ Today, we're giving back 100% of proceeds from our You Do Good charm suite to impactful causes, including our Metastatic Breast Cancer Necklace Set pictured here. ⠀⠀⠀⠀⠀⠀⠀⠀⠀ Every purchase of the Metastatic Breast Cancer Charm Necklace Set will support our Legacy Retreat through @Inheritance_of_Hope for families with a parent battling metastatic breast cancer. The billionaire businesswoman also revealed that it was such a massive risk that she had to take when she started her business. Her biggest challenge was that she had no capital to back her up, it was literally growing business out of nothing and she did struggle a lot. Scott believed that failure has never been and will never be an option for her, she already hit the bottom and there was no other way to go but up, and so she did everything she can to go up. Scott also revealed that her first business known as the Hat Box was something that she would never forget. She said that it will always be a part of her journey and she considers it a great experience. She made hats for women who were undergoing chemotherapy and most of her earnings were donated to cancer research. Scott was truly devastated when the business failed, but that doesn’t mean that she stopped giving back. In fact, she shared that her company managed to give more than $4 million to local and national causes through her foundation and they are trying to reach $5 million this year for it. When asked she thought would be a eat advice that she could give young and aspiring businesswomen is to never take no for an answer. She believes that rejection and struggles are merely challenges that you have to conquer since that will always be part of the journey to success. If you’re not where you want to be at the moment then there is no reason to stop, even if the world may be against you sometimes. 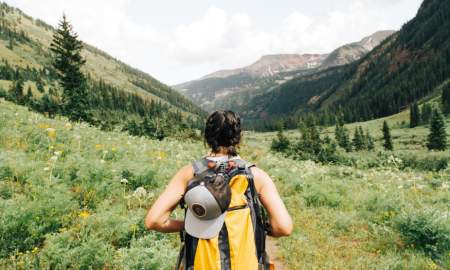 Scott revealed that there are a lot of people who turned her down and slammed their doors to her face when she was starting her business, but she learned that there will always be another path for you to take.